Crew Cab Duramax HD Pick-up with only 104,788 Low Original Miles! California owned with an excellent maintenance history. Zero accidents or damages reported to CarFax.! The HD Sierra is powered by the Super Powerful Duramax 6.6-liter, 365 HP V8 Turbodiesel engine, matched with the heavy-duty six-speed Allison automatic transmission. Tow package with hefty towing capacity up to 13,000 lbs. Agressive Exterior styling. Original, dent free Olympic White paint, deep tinted privacy glass and running boards for easy entry and exit. Upgraded for 2007, the interior is greatly improved; quality materials and simple controls make it easy to get comfortable. Features; Key-less entry, dual-zone climate controls, cruise control, six-way power front bucket seats and full power accessories. Factory CD stereo system with aux port and steering wheel mounted audio controls. 16' GMC Premium Chrome Alloy Wheels wrapped in great quality, nearly new Michelin Defender LTX MandS Rated Radial Truck Tires with full size spare included.Onstar emergency communications with Free Trial available. Owners manual included. 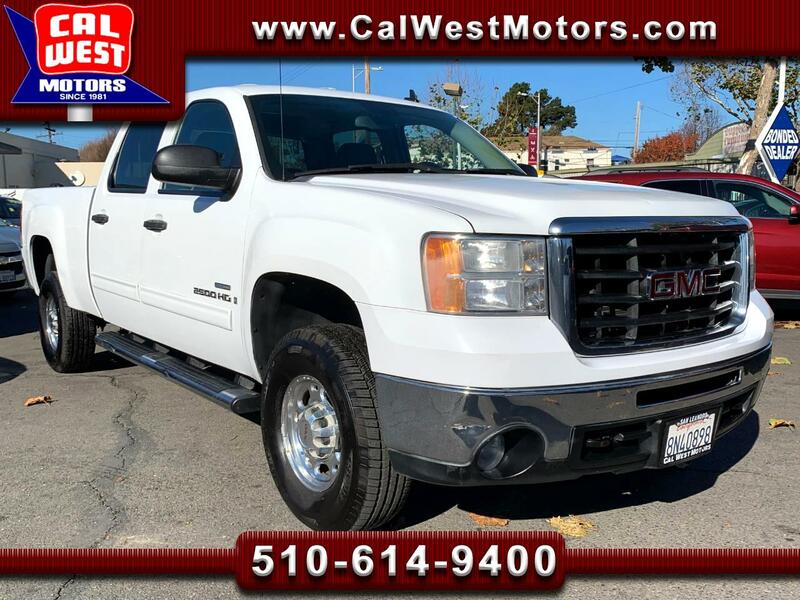 With this Sierra's Work Abilities, Well-Rounded Personality, Great Features, Amazing Condition and Low Mileage makes for Exceptional Value under $22,000!